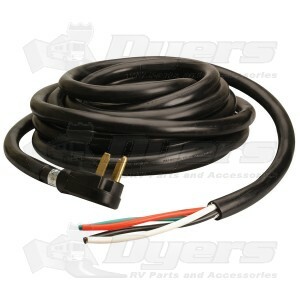 50A male power supply cord. Male plug one end, other end stripped 6". Stripped End Makes Hardwire to Any Connection Easy. Male Plug End is Molded. Cord Jacket Constructed from Durable PVC.